An ergonomic office setup is critical in maintaining good posture that minimizes strain and repetitive motion injuries. There are dangers in everyday life, from slipping in the shower to getting mowed down by the next door neighbor’s teenage driver. The risk doesn’t end once we are safely behind our desks, because… sitting is killing us! Seriously, while not really trying to commit murder, our computer, desk, office chair and keyboard are not our friends. We spend hours each day sitting, typing, staring at the computer screen, and this inactivity is wreaking havoc on our health in a variety of ways. Our Glastonbury Chiropractors can write a referral for a standing desk letter, if medically necessary! According to OSHA, a person who spends time at their computer needs to choose an adjustable chair that supports the back, buttocks, legs and arms. Be mindful of your posture throughout the day as well. An ergonomically adjusted chair minimizes the occurrences of awkward, strained positions that frequently cause injury. If you or a co-worker suffer from symptoms related to an improperly positioned workstation, give us a call. 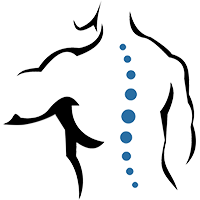 Our team of Doctors at Damato Chiropractic Center of Glastonbury can help get the symptoms under control as well as guide you toward a more healthier spine and working environment. Give our office a call to learn more! (860) 410-4488.